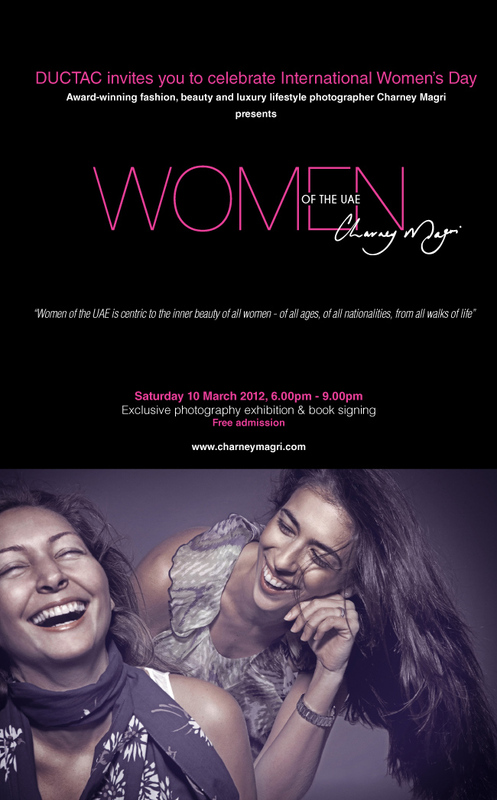 DUCTAC will be celebrating International Women’s Day (8th March) with an exhibition of photographs by the acclaimed Australian fashion, beauty and lifestyle photographer Charney Magri. The exhibition, entitled Women of the UAE, is made up of a series of stunning photographs that depict the diversity and beauty of the Emirates’ female population. It will be on display on the terrace of DUCTAC’s Balcony Lounge from 6 – 9pm on Saturday 10th March. The photographs that make up Women of the UAE are taken from Magri’s new book of the same name, part of the proceeds from which are going to local breast cancer awareness initiative Pink Caravan. The book features images that focus on the beauty of the subjects by capturing them in a portrait accompanied by a small written explanation of their contribution. Each subject was shot in front of a plain background so that the images reflect only the person and not their status, location or materialistic belongings. Visitors to the exhibition at DUCTAC will have the opportunity to purchase a copy of the book and have it signed by Magri herself. Fascinated by the amazing richness of cultures and opportunity in the UAE, Charney Magri moved to Dubai in 2008 and established a regional reputation as a Fashion and Beauty Photographer whilst working on her own projects. Women of the UAE, which is her first book, is intended to be a time capsule that reflects the women in the UAE and across the region, providing valuable information to future generations about the life, work and efforts of women in this part of the world and their contribution to society.